Most people have been through this at some point or another in their weight loss journey: you have religiously dieted for a week or two, even exercised, and decide to hop on the scales to check your weight. You find that you have gained weight instead of losing it, as expected. Oh, the horror! You can also find that the weight you have lost is very negligible, such that is makes no difference. At that point, it may be easy to give up as you feel that all your efforts are in vain. When you put in lots of effort to lose weight and yet end up with results that are the opposite of what you expected, you will probably be demoralized. You, however, shouldn’t give up. Your unexpected results after dieting may be due to some fitness mistakes that you unknowingly (and occasionally knowingly) do while you are working out. These fitness mistakes can be easily rectified in order for you to achieve your goal of becoming fitter. 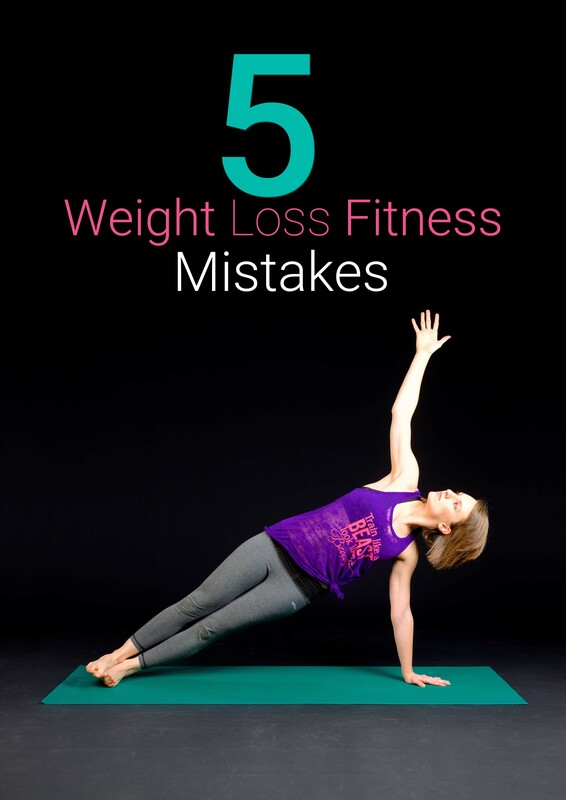 It also can be these same fitness mistakes that are slowing or even stalling your weight loss progress. Learn how to avoid making these 5 common fitness mistakes below. Most people make this mistake as they work out. They do lots of cardio exercises, thinking that they will be enough for weight loss. They may run many miles, pound the treadmill a couple of days a week, perform an intense ab session several times a week, but still discover that at the end of it all, they haven’t lost as much weight as they expected. While cardio is good, it shouldn’t be the only thing you do at the gym. It might be easier, but in the long run, you won’t lose as much weight as you would like. Strength training is a very important aspect of weight loss, and shouldn’t be ignored. You should mix your cardio exercises with strength training for best results. Most people think that lifting weights and other forms of strength training will only bulk them up, without reducing any weight. This couldn’t be any further from the truth. Lifting weights and doing other resistance exercises helps burn fat, build lean muscle, and boost the body’s metabolism. This helps lose weight even faster than when you do cardio exercises only. Doing workouts that incorporates both cardio and strength training, or alternating your workouts every other day to ensure that you are doing both cardio and weight lifting is the best way to go about your weight loss journey. • Incorporating variety. As human beings, we tend to stick to what works well for us and ignore any other method that would also work. When it comes to doing cardio exercises, people have their favorite equipment, with some opting to use the treadmill, others the elliptical machines, while others go for the stair climber. As the body gets used to these repeat movement patterns it performs regularly, it gets better at them, and hence you won’t use as much energy as before. In the long run, repeating the same exercises on the same equipment won’t have any noticeable effects on the body. In order to lose more weight, you should incorporate variety, and do different cardio exercises on different days. Just as you wouldn’t lift the same weights for months on ends, you also shouldn’t repeat the same cardio exercises. • Doing cardio and strength training exercises on different days. By now, you know that incorporating strength exercises to your workout routine beats doing only cardio. If you, however, do both high-intensity cardio and strength training exercises one after the other, chances are you won’t have enough energy for the exercises that you will do last. If you hit the treadmill for a cardio session, then lift weights afterward, you will have very little energy left to make the strength training count, and vice versa. Do intense cardio and resistance training exercises on alternate days for best results. This way, you will give your all to each set, and you will end up burning more calories. While it may be true that some little workout is better than no workout at all, in the long run, the little workout may end up having very little effect on your body. Doing some dances in the Zumba class, jogging for a few miles, or even barely breaking a sweat when lifting weights will not help you burn enough fat to lose the weight that you want to. If you want to see real changes in your body, you should challenge your body by doing intense exercises. If you are doing an exercise with relative ease, without any struggle in your muscles, then it probably isn’t helping you lose weight. • Jogging. Sure, jogging is an easy, though slow, way of keeping fit. It, however, does not help much when it comes to losing weight. Most people have the same jogging routine – the same distance covered, roughly same time taken, and the same route taken – with little to no variations to that routine. Once the body gets used to your routine, it doesn’t use up much energy for the jog, thereby you don’t lose as much weight. The calories burnt in one jogging session of about 30 minutes are less or equal to the number of calories in an average healthy meal, therefore you will end up consuming way more calories than you are burning. An intense running session, either on the road or the treadmill, is recommended over jogging. • Exercise Dance Classes. Yeah, they are a fun activity to do in the name of losing weight, and they don’t really take a toll on your muscles. In reality however, the rate of fat loss during exercise dance classes is usually very slow, and not enough to help you lose weight. • Using the exercise bike. Most people use the exercise bike while either reading or watching the television. 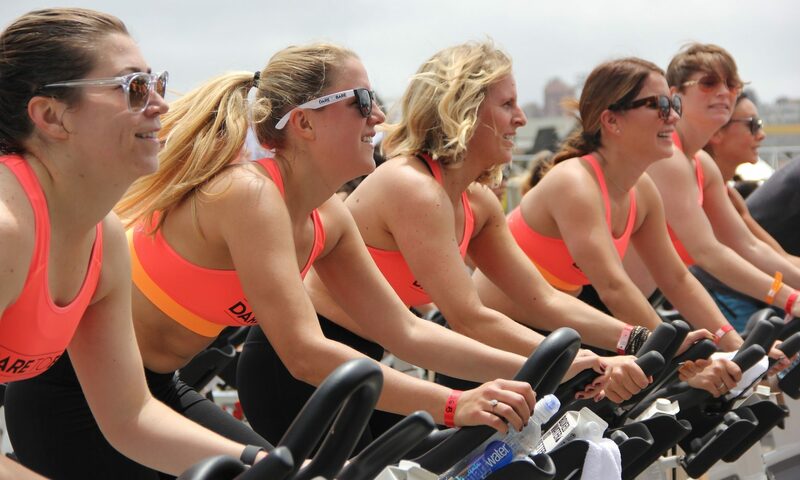 This ends as a waste of their time as they are less likely to put much effort into the workout unless they are doing a form of the High Intensity Interval Training. For anyone who wants to lose weight, avoiding the exercise bike may be a good idea, as the calorie burn is low unless you intend to do very intense cycling whenever you use it. • Lifting light on weight machines. Weight machines, if done correctly, are great for weight loss. People, however, make the mistake of lifting very little and hoping for the best. This definitely never works, and they end up disappointed as they do not lose the weight they were expecting to lose. As a beginner, you probably will lift light weights, but as time goes, you should increase the weights you lift, in order to lose more weight. Following the same workout routine in the gym for months will in the long run not do much to your weight loss expectations. What worked in the beginning and helped you lose, say, five pounds, will not work months later and help you lose ten more pounds. Your progress will instead stall, as your body is already used to the exercises. 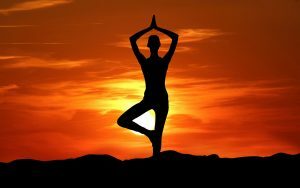 In the beginning, light exercises may seem difficult to complete as your body is not used to them, but with time they will seem easy. This is the time to switch up your workout routine and add more complexity, such as more weights or more cardio exercises, to prevent any complacency. Once your body is used to a certain routine, it doesn’t need as much energy to complete the routine as before, therefore less fat will be burned as you exercise. To prevent this, you should vary the exercises that you do. You should mix up the intensity and duration of your exercises every few days, and do a completely new workout routine every month by coming up with and doing new and different resistance and cardio exercises. As your fitness level improves with time, so should your workout routine. Change your workout at regular intervals, making sure that the difficulty increases with time. Try doing weight lifting, cardio exercises, or interval training (short burst intensive exercise followed by a little break, then more short burst intensive exercises) in addition to what you have been doing. Try different exercises, and come up with a better workout schedule. Doing different regular challenges will bring better results than doing the same exercise over and over. A single and unvaried routine will soon bore you, making you lose interest in the workout, leading to complacency both in the mind and in the body. Refresh your body and mind by doing different challenging exercises that will always keep you on your toes. Doing the same workout for long can be boring and ineffective, therefore you should adopt different exercises and a variety of workout routines to make it more exciting and effective. While going to the gym to work out once or twice a week can improve your cardiovascular health, it does not really help in weight loss. In order to lose meaningful weight, you should commit to a consistent workout schedule. This means that you should go to the gym regularly, even when you feel like you do not want to work out. Some people start out all excited, but after a few days the excitement fizzles out, and they lose all the excitement they had for working out in order to lose weight. Some give up for days, weeks, or even months, then later decide to start working out again, while others completely give up and never go back to the gym. True, working out is not easy, especially when you are a beginner. The sore muscles may make you decide never to work out again, but what you should know is that things get better with time. As your body gets used to the exercises, the soreness reduces, and your workout sessions become a bit easier to do. Consistency is fundamental when it comes to working out to lose weight. Exercising for 4-6 days a week, with a rest day in between the days, is recommended, as you will get the full benefits of the exercises. Do not have too many rest days per week, however, as they will end up negating any work you may have done in the gym. Even when you feel like giving up your workout, keep on pushing on. Do not give up at any point, and in the end, your body will thank you after you have lost weight and become fitter. To help you have regular workout sessions, you should come up with a workout schedule for either each week or month and stick to it. Indicate which days you will do which exercise, and include your rest days. Switch up the routine such you don’t do one exercise repeatedly, in order to make it more exciting. Set realistic and reasonable goals and expectations for each month, such as running for a set number of kilometers, or lifting a certain amount of weights by the end of the month, and reward yourself if you surpass your goal. Instead of rewarding yourself with food, you could do something healthy such as buying a new pair of workout gear or running shoes or even getting a manicure. If you do not reach your target, or skip a day or working out (unless it is due to an emergency), you can sort of punish yourself by, say, not buying something you were looking forward to, such as a new outfit. This will push you to have a consistent and regular workout routine, without skipping days due to flimsy excuses that are totally avoidable. Setting goals helps you maintain your schedule, and gives you extra motivation to work out, as you try to achieve the goals and surpass them. Yes, getting little sleep is not only bad for your health, but it also affects your weight. Getting little sleep means that you will be tired during the day, and therefore won’t have much time or energy for the gym. When you are exhausted due to lack of sleep and go the gym to work out, you most probably won’t have enough energy to do any of the exercises. Even if you attempt some of them, you will do them halfheartedly due to the exhaustion, and may not complete them. Exhaustion drains most of your energy, therefore messing with your time at the gym. Sleep deprivation may also mess up with your diet, which in turn messes up with weight loss. If you didn’t have enough sleep at night, the chances are high that you will take lots of coffee to stay awake, and probably some pastries to go with the coffee. At the end of the day, you may be too tired to go to the gym to work out, and even opt for takeout instead of cooking, as your energy levels are low. The more you are sleep deprived, the more the body produces cortisol, the stress hormone, which in turn increases your appetite. You find yourself going for comfort food to sate your hunger. The chances of you eating healthy foods such as salads when you are sleep deprived are very lower, and therefore your efforts to lose weight end up in vain. All these work to increase the pounds in your body instead of reducing and this vicious cycle may go on if not checked. You may have succeeded in fighting off the sleepiness by taking lots of caffeine and comfort food, but in the end, your weight suffers as you pile on the pounds. People who sleep for six to eight hours a day, according to studies, are much more likely to achieve their weight loss goals compared to those who slept for less than six hours. • Avoid taking any caffeine in the afternoon, as it may mess up with your sleep cycle. Caffeine in the afternoon will keep you in the lighter sleep stages, and these are associated with poor sleep. If you want to take a beverage in the afternoon, you should take only decaf. • Go to bed and wake up around the same time each night. Setting a sleep schedule for your body makes it easier for you to sleep at the time you should sleep. • While power naps during the day are important, avoid taking many naps, as they may make you less sleepy during the night. • Do not exercise close to bedtime, as it may stimulate you, making it harder for you to sleep. Exercise a couple of hours before bedtime (about 3-4 hours) to give your body enough time to cool down before you sleep. • Avoid using phones, televisions, laptops, or any other electronic devices with a screen just before going to bed, as the light may make it harder for you to sleep. Not being fit can be as simple making these mistakes over and over until they become a habit - albeit a bad habit, but nevertheless a habit. But if one of your goals this year is to get fitter, then you have to break those old habits that are holding you back and replace them with new more fitness-oriented habits. And because it takes around 30 days to break an old habit and replace it with a new habit, our 30-Day Fitness Challenge is the perfect way to create new habits that will help you be fitter in a month than you are right now. Complex and far-reaching, arthritis is a disease that affects men and women, young and old, all over the world. The main symptoms of this disease include inflammation, stiffness and joint pain. Arthritis can be caused by a number of different factors including genes, the environment, a person's age and their occupation. There are quite a few treatment options available for arthritis; however, there is no cure. This means patients who suffer from arthritis will require alternate treatments to relieve symptoms, in addition to conventional treatment. One of the very best ways to relieve the pain and discomfort of arthritis is with exercise. Being physical active helps a person to maintain flexibility, bodily movements and muscle strength. A moderate form of exercise that has shown quite a bit of promise in relieving arthritis symptoms is Pilates. Pilates is an exercise technique that was named after the person who created it - Joseph Pilates. Developed in the early portion of the 1900s, the goal was for this technique to help improve movement and health in soldiers during World War I. Pilates is focused on increasing the strength of the muscles with spine alignment and body balance exercises. It became famous in the U.S. as a method for rehabilitating injured dancers and athletes. Each exercise in the Pilates technique is focused on stretching and lengthening the main muscles in the body. Pilates consists of over 500 exercises that have been inspired by calisthenics, ballet, and yoga. Pilates is the ideal exercise for anyone who does not want to have to follow a strenuous fitness regimen. However, despite the fact that it is a mild type of physical activity, it offers a number of health benefits. Because it emphasizes improving the strength of the body core, it works to enhance the strength of muscles and muscle tone in the lower back, hips, and abdomen. It also works to improve balance, bodily coordination, body awareness, posture, spine stabilization and muscle control. It also facilitates the relaxation of the muscles of the upper back, shoulders and neck. These factors make it the ideal way to rehabilitate patients who are suffering from spinal, joint or muscle injuries. Because of these features, it is also extremely effective in treating and alleviating the pain associated with various forms of arthritis. One of the main advantages of Pilates is that it helps to improve a person's flexibility. Those who suffer from arthritis often find it difficult to move their joints freely, since they are weak due to inflammation. Also, it can be difficult to stretch the muscle joints freely in this type of situation. The primary aim of using Pilates for arthritis treatment is to improve overall joint flexibility. The exercises were created in a way to ensure the joints become mobile and stretchable again. With regular Pilates sessions, someone suffering from arthritis will notice a reduction in pain, that continues to decrease. According to the Arthritis Foundation, it may be necessary for a person suffering from arthritis to start out working with a trainer or physical therapist since some of the positions may have to be modified to accommodate their existing abilities. Build strength: Over time, arthritis suffers can become weak and experience extreme pain. Improve posture: It can be difficult for some arthritis suffers to sit up straight without severe pain, but Pilates helps. Helps to promote a healthy state of mind. For those who suffer from arthritis and who are looking for relief, Pilates offers a solution. It is best to start slow and get the movements right to reduce injury. 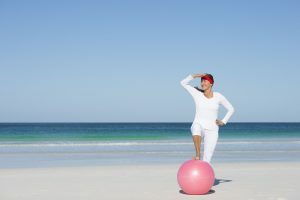 However, when done regularly, this type of exercise can provide a significant amount of relief for individuals suffering from all types of arthritis. Pilates is a fantastic exercise. It has been proven repeatedly to have incredible benefits, helping practitioners to develop a stronger and more stable core, improving muscle elasticity, boosting mental health and mood and in general improving overall health and wellness. Make no bones about it, this type of exercising has many benefits, and it is a workout that many people actually enjoy doing. 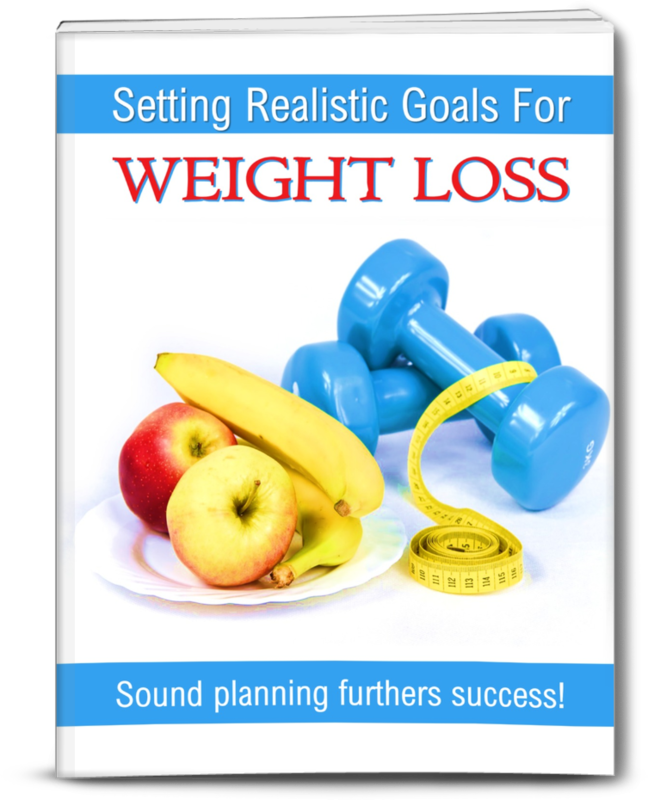 However, if you are really trying to burn those calories and lose weight then as good as it is, it alone is not enough when you want to lose weight. Pilates Is Not Supposed To Make You Lose Weight! First thing first, Pilates is not actually supposed to make you lose weight. There are many benefits to doing it, but losing a significant amount of weight is not one of them. This is not putting it down; it is just not, what it is supposed to do. Studies have shown that a person who does Pilates for six months may feel incredible, but they will not show any signs of significant weight loss. What is meant by this is that if you really want to lose weight then you need to be running, swimming, jumping or doing some other kind of more explosive form of exercise (think cardio or HIIT) that elevates the heart rate. You need to get that body of yours moving if you want to lose weight and a Pilates workout is not about that. This form of exercising is more about slow and controlled movements, which in no way will help you, lose weight like a boxercise or circuit training class does with their far more intense moves. We would all like to keep that belly fat at bay, but Pilates while it can help is not going to be able to do that for you all on its own. Pilates is well known for its ability to sculpt and tone your body, especially your midsection. While Pilates may help you have some very nicely toned abs, it is not going to help burn that layer of fat if its covering them. Therefore, if you really want to have tight, toned abs then you will need to reduce your body fat with a higher intensity workout or workouts. Some great options are elliptical trainers, HIIT workouts, aerobics, cycling or brisk walking and running. A huge part of a good Pilates workout is making sure that your breathing is just right. This is part of what makes a Pilates workout such a relaxing and feel good experience. This is kind of the opposite of a really good cardio workout where you need to be intense, on edge and really pumped up to push your body to the max so that you can burn some serious calories and body fat. The person who invents a workout or a pill that allows you to eat whatever you want and not gain weight is certainly going to be a billionaire. However, the fact of the matter is a toned and sculpted body is not just made in the gym; it is also made in the kitchen. No matter how good your Pilates workouts are, you will still need to keep an eye on the amount of calories you are putting into your body and be sure to eat less calories than you burn daily. There is no point in doing cardio and then Pilates if you are going to Pizza Hut straight after. If you were to eat badly and just do Pilates and no other form of exercise then it would not take long at all for you to actually gain weight! 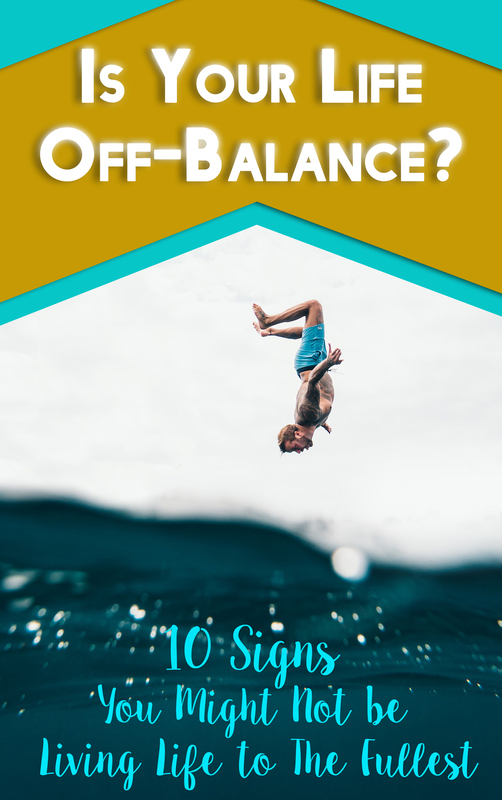 Balance is extremely important for all living things, but if your feet become weakened from inactivity or injury that requires long periods to heal, they can become weaker and make you vulnerable to the possibility of losing balance or having a fall. If you believe that you could benefit from learning some specifics of how to make your feet stronger, than you will be happy to know that the next few paragraphs of this article contains some helpful information to get you started. 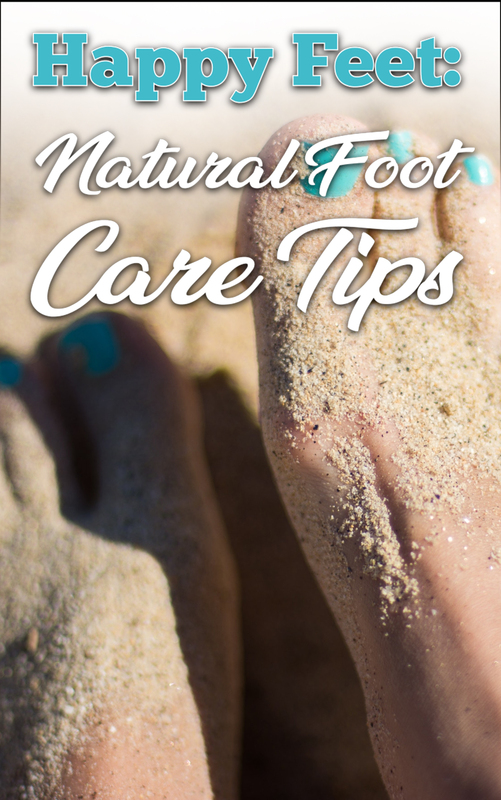 The first foot exercise to help strengthen your feet is simple and a good one to begin with. For this exercise, you should take off your shoes. While seated in a chair, allow your legs to touch the floor naturally so they form a classic 90-degree angle while you are sitting. Curve your feet as if you were trying to make a fist without curling your toes. If it’s easier, you can do one at a time instead of both at once. Revisit the exercise multiple times through your day, and you can maximize your results more easily. This is a great exercise that you can do while you’re at work. To make it more challenging, you can try to do them from a standing position. Stand on your left leg and exercise your right foot, and once completed, you can switch legs. For this exercise, it easiest to perform while you are near some type of stairs. For the best results, you should take off your shoes. Face the stairs in the way you would walk up them, but instead let your heels hang off the edge a drop below the rest of your foot level. At this point, you can perform a simple calf lift, but end the lift with by shifting your weight to your big toe. Don’t be discouraged if it’s difficult. Because most people have a difficult time with them until they are used to doing them. 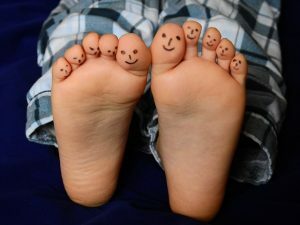 Lastly, you can get regular foot massages. Massages have many benefits, but one of the most interesting is the fact that you can use it to manually. 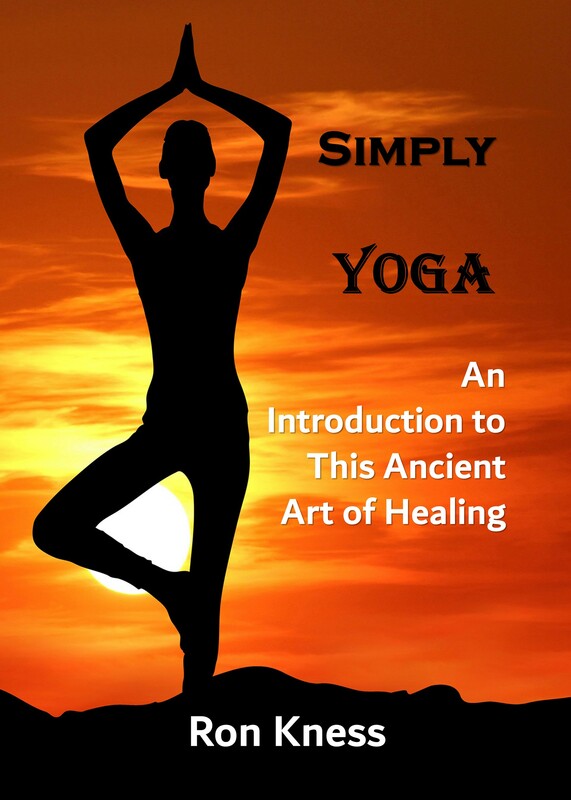 Increase blood flow to your limbs. Place your hands on both sides of your calf. Use long low strokes for the massage. This will help you get better, and more complete coverage to your ankles and feet. Push the blood to your feet. Finish by pulling blood up from your feet. Work your way up to your shins. 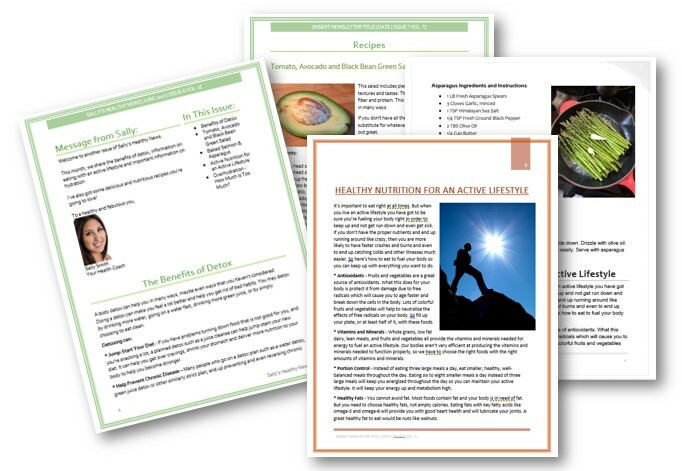 Subscribe to our Healthy Lifestyle Newsletter and get the Foot Health report free (along with lots of other healthy lifestyle information). It is only $6.97 per month and you can cancel at anytime. You may think everyone will be judging your fitness level or body type. You may even have nightmares before going in your first time. No matter how your fear of going to the gym manifests itself, you can overcome it with a little preparation and a few tricks. Below are 9 tips for overcoming your fear of going to the gym. 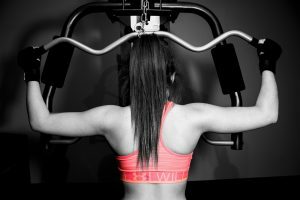 Continue reading "9 Tips for Overcoming Your Fear of Going to the Gym"